Yes, it’s still Autumn. 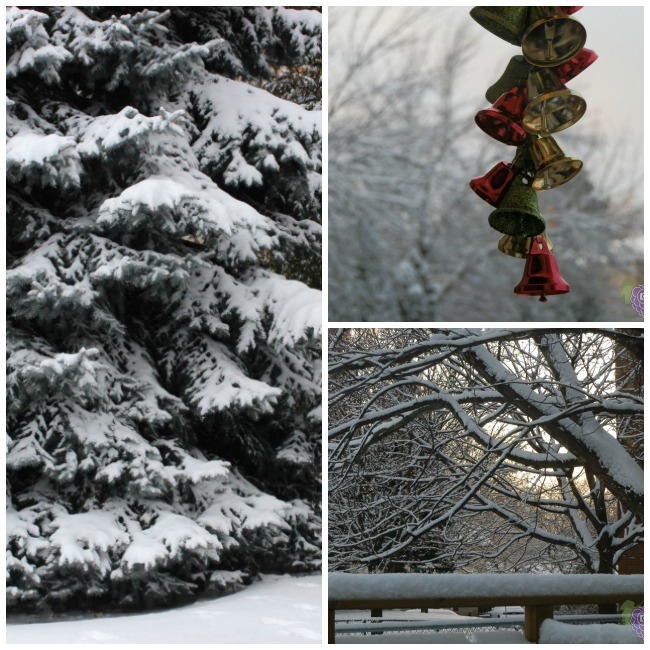 Winter actually begins around December 21-22, so Autumn isn’t officially over yet. 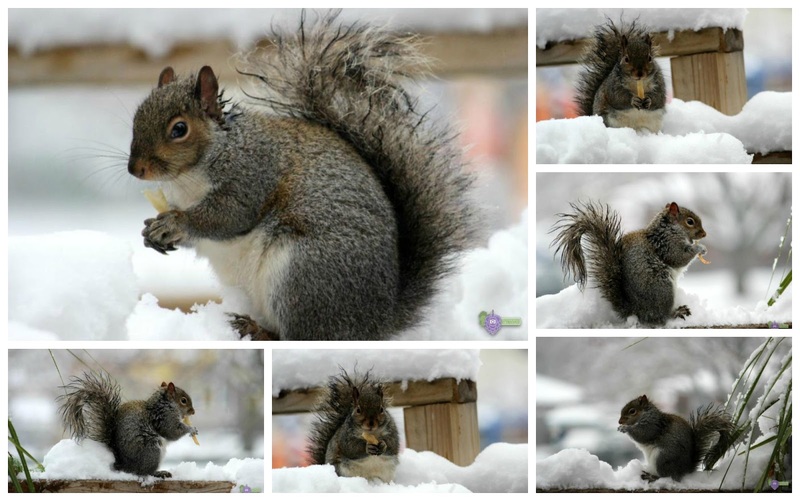 The leaves haven’t ALL fallen, but the first snow fall for the Niagara region has arrived and I have managed to capture some hungry squirrels snacking on some french fries. Lisa is very artistic, especially when it comes to applying make-up and dressing up for the right occasion. I always love her work and this year, around Halloween time, she impressed us all again with her latest themed costume – The Vampire Bride. For me, the scarier the better so when I found out she was going to be a Vampire Bride at a local Long Term Care home, I just had to be there to capture a few shots. Some people were actually afraid to look at her. It’s those eyes I tell ya! It's that time again folks! So let the nightmares begin! 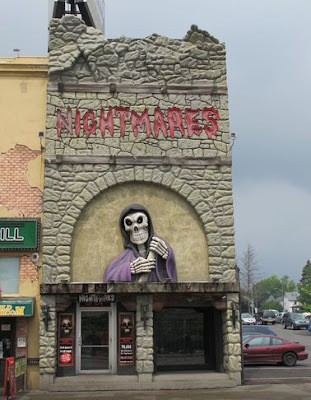 The Nightmares Fear Factory is a haunted house attraction in Niagara Falls, Ontario, (across from Casino Niagara) and is the oldest haunted house in North America in continuous operation. 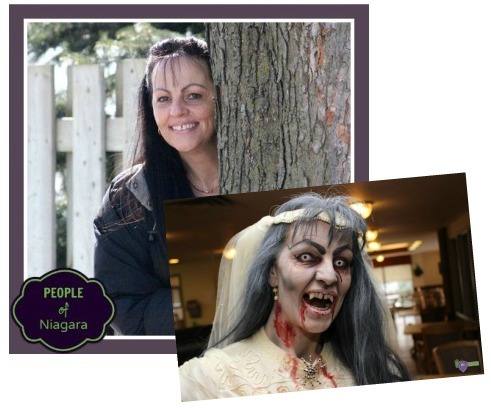 I’m still gathering up the courage to enter this ‘two-time Niagara Falls Attraction of the Year‘ haunted house which is said to be THE scariest haunted house attraction in Niagara Falls. 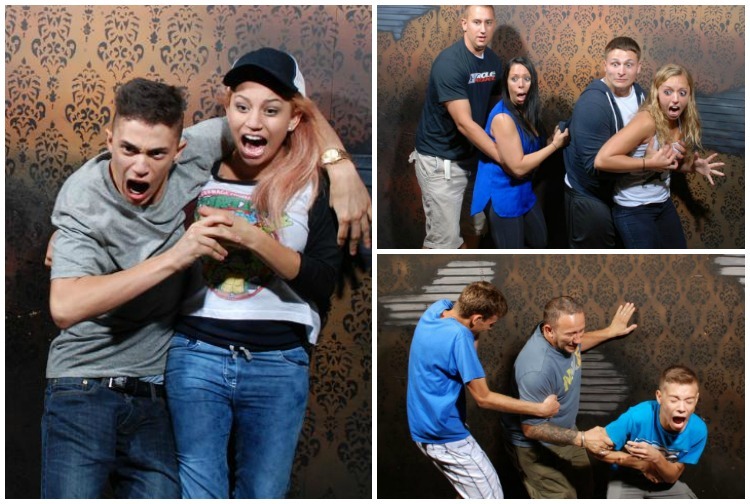 It’s roughly a 15 minute walk-through attraction that preys on each visitor’s fears and phobias. 15 minutes! That’s a long time folks to be in a constant nail-biting state of paranoia! Go here to get directions. The haunted house is built on the site of the once industrious Cataract Coffin Factory where eccentric proprietor Abraham Mortimer dedicated every waking hour to surveying the progress of his domain. 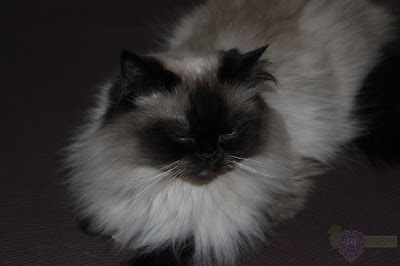 At night, the old man was tormented and taunted by young hooligans. Abraham would chase the riff-raff from their pranks and dares. They always laughed at his threats… until one fateful night Abraham confronted a rowdy group of thrill-seekers. In the ensuing struggle, a stack of solid oak coffins overturned, and Abraham was crushed to death! The guilty ran off and were never apprehended for their part in the gruesome murder. Soon after the funeral, Abraham Mortimer’s coffin was found unearthed and empty! To this day it is said, he walks the halls for revenge on those who dare trespass on his beloved, and now abandoned factory. Next up on my continuing exploration of the Niagara Region is Clifton Hill – “The Fun At the Falls” street. 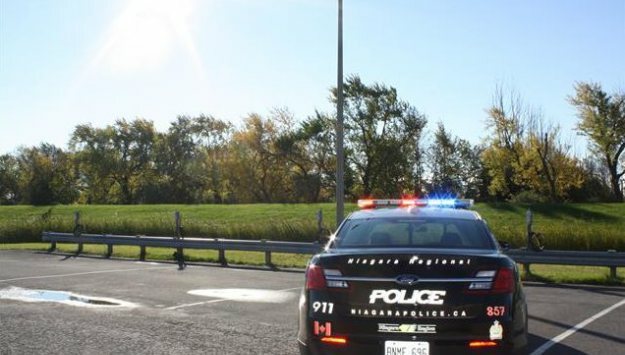 It’s the most exciting stretch of street and one of the most famous in the Niagara Region, (and possibly the world), which I rarely get a chance to visit but when I do, I always get all giddy and excited like a child heading to an amusement park for the first time. It’s always so busy and bustling with tourists and attractions ANY time of the year and once there, I always feel like I’ve just entered another dimension. Check out this cool truck we spotted while shopping at Walmart the other day. On our way out, lo and behold, what did we see… this awesome truck we call – “The Vehicle from Hell”. Well almost. 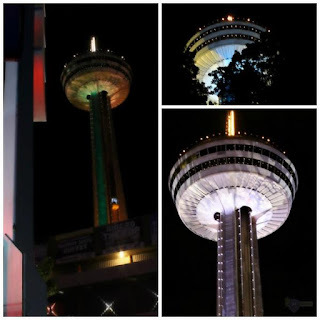 Our visit to The Skylon Tower, in Niagara Falls, was long overdue! We’ve passed it many, many times for many, many years and each time we did, we would always say, “One day we’ll have to go up there”. Finally we did… and it was great! We had dinner up there, at the Summit Suite Buffet and the view, as was expected, was spectacular. I’m usually deathly afraid of heights but the ride up the tower I found, was too short and I remember wishing it would have lasted longer. I think it took under a minute to get to the top! As we were heading to the top, I remember asking the guy who was operating the elevator: “You’re probably tired of doing this everyday?”, to which he replied, “oh, you get used to it”. He later mentioned he did this roughly over 50 times or more a day! We also asked if he’s ever gotten stuck in these elevators but he quickly told us “.. things happen, but it gets fix quick though.” It’s just like any other elevator – it has it’s good days and bad. The Skylon Tower is an observation tower that overlooks both the American Falls, New York, and the larger Horseshoe Falls, Ontario, from the Canadian side of the Niagara River. It was interesting to note, those yellow elevators were the first of its kind during the construction of the tower. It’s been over 2 years since the opening of St. Catharines Kiwanis Aquatics Centre and its 7,000 square foot branch of the St.Catharines Public Library. It wasn’t the greatest of days in terms of weather when we arrived at the Floral Clock. It was an overcast day, but we were nevertheless excited to be there. Upon arrival, they were maintaining the grounds. The gardeners were busy looking after the rows of tulips that greeted you on your way to the clock and the lawns were being mowed. A bus had just departed, loaded with tourists and another would eventually arrive 30 mins later- something that has been probably going on for over 60+ years. We were thrilled to finally get a view of this much talked about attraction and were even more excited when we discovered what was behind the clock itself. 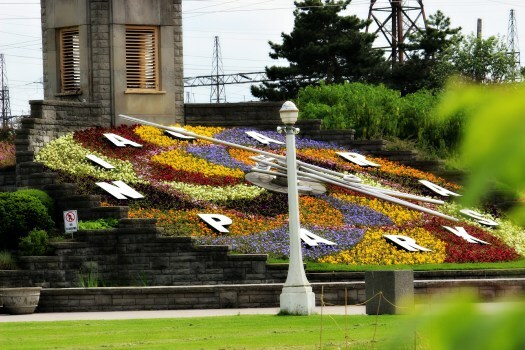 The Floral Clock, a free attraction, was built in 1950 and is one of the largest floral clock in the world at 12.2 metres (40 feet) in diameter. The hands of the clock are stainless steel tubing: the hour hand is 14.5 ft, the minute hand 17.5 ft and the second hand 21 ft long. Their combined weight is 1,250 pounds. An ivy-clad, louvered stone tower stands 24 feet tall and contains speakers that every quarter hour broadcast Westminster chimes. Under the clock, accessed by a door at the rear of the tower, the concrete foundation includes three small rooms – one for the clock mechanism and its driving motor, one contains switches to supply the electrical power, and one stores the tools required for maintaining the floral face. The clock mechanism runs in a bath of oil. The mechanical workings are driven by a 5 HP DC motor supplied from a DC drive. A tachometer is mounted on the motor shaft and provides feedback to the drive to control its accuracy. The Westminster chimes are controlled by a programmable logic controller. The sounds are simulated and are broadcast through 2-25 watt co-axial speakers mounted in the bell tower. 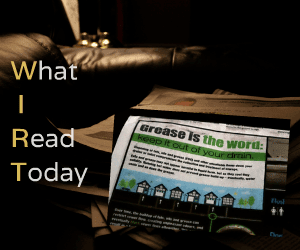 What I Read Today in a local newspaper, was not a news article or story but rather a PSA ad about dumping grease in toilets. I’m sure many of you are guilty of this - I am. 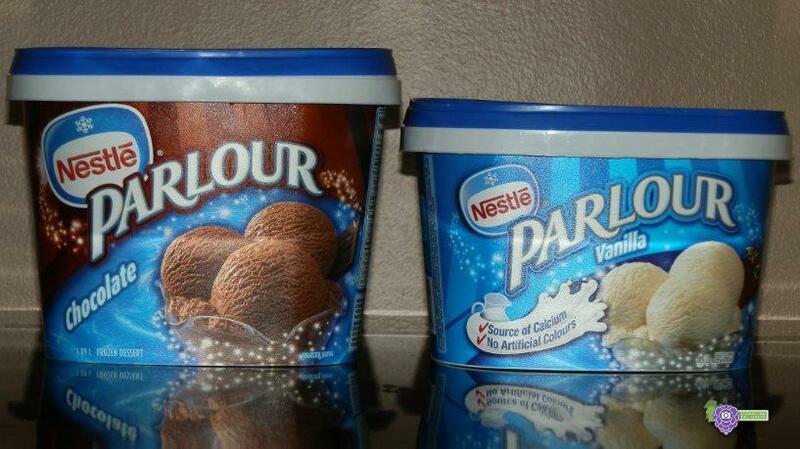 With me it’s not in the toilet, but rather down the drain. I actually feel quite guilty as I write this post and honestly didn’t think I was doing any harm. I like to make my own french fries which involves peeling a lot of potatoes and a great deal of deep frying. After awhile, when the oil is no longer needed, I would dump it, while it was still hot, down the drain. I figured it was still warm. 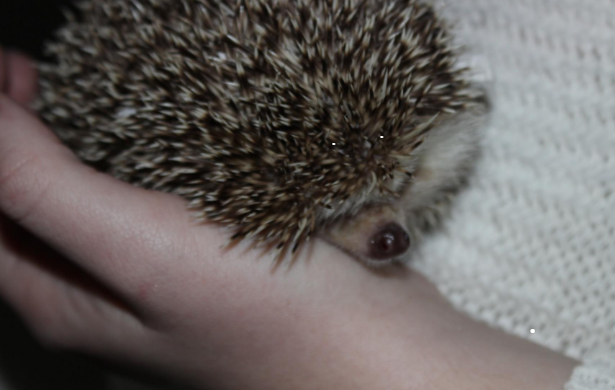 But now that I think about it, it wasn’t the smartest thing to do. 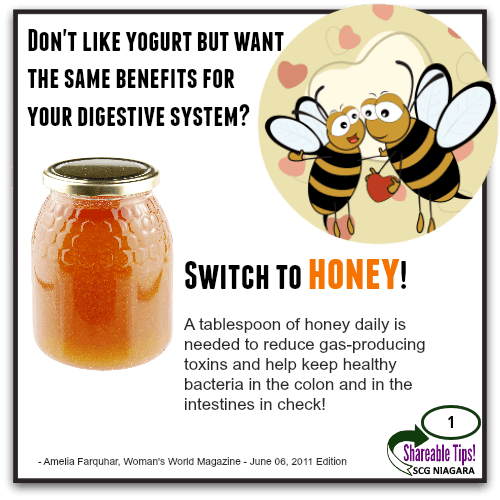 I no longer dump grease down the drain and now I’m asking you to do the same. 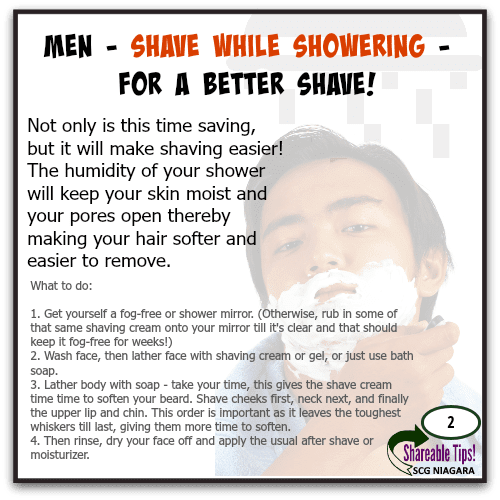 Labels: DID YOU KNOW?, LOCAL News, NEWS, Public Service Announcement (PSA), W.I.R.T. DID YOU KNOW?... There Are Canadian Two-dollar Bills Worth 20 Grand? Last night we told you about a rare $2 bill that was expected to sell for $20,000 at an auction. But we now offer a mea culpa. We were mistaken. The first problem? The story was from 2012 – a speculative piece about a bill potentially worth $20,000 because the wrong officials signed it. The second issue? A noteworthy serial number. The 1986 bills with the serial numbers prefixes AUG, AUH and AUJ should have contained the signatures of Bank of Canada governor Gerald Bouey and deputy governor John Crow, but a few of them are signed by deputy governor Gordon Thiessen instead. We only told you about AUH. Finally, we speculated the bill could be worth $20,000. As it happens, the bill did actually sell at auction – but for only $10,000. Although it was a bit too early to view and pet the animals, our visit to Happy Rolph’s Bird Sanctuary & Petting Farm was still a delightful one. Seeing the park this early in spring was just as enjoyable and only made you more eager to return when the summer season approached. There were no animals to be found other than those noisy yet beautiful waterfowls swimming around in that famous pond – one of the many wonderful things this park is known for. The ducks and geese were hollering at the top of their birdie lungs when visitors would toss them some bread. There were also kois discovered in the pond. They weren’t moving, (probably still in a state of hibernation since the visible ice floating on parts of the pond meant the water was still very cold), but they were there – alive and well! There were many ancient trees throughout the park one of which we took a photo of that was over 160 years old! Shortly after visiting the pond, something really blue down yonder caught our eyes. It was Lake Ontario! Probably the bluest you’ll ever see it, this time of the year. 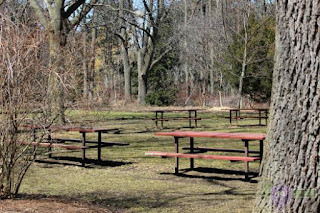 Happy Rolph’s Bird Sanctuary is a 15.06-acre municipal park on the shores of Lake Ontario which boasts one of Canadas most exotic collections of flowering rhododendrons. 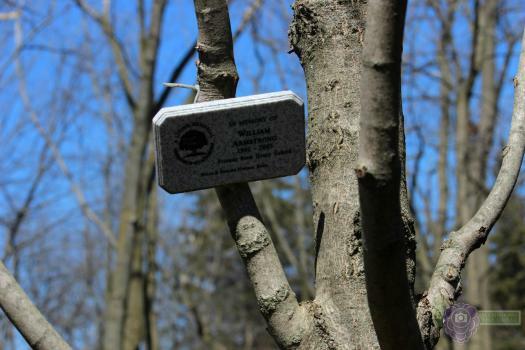 Harold “Happy” Rolph was a fruit farmer who founded a bird sanctuary on his property — now the public nature park on Lake Ontario. He needed water to irrigate the orchards and around 1950 built several natural looking ponds in a valley on the property. Several pairs of mallard ducks were purchased to attract other birds to the area. He and wife Jean built feeding stations for the birds over the next two decades, spending $1,500 a year on bird feed. 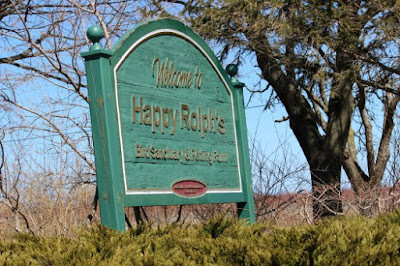 In October 1974, the property was named the Happy Rolph Bird Sanctuary in Rolph’s honour. Later, a children’s petting zoo was added to the attraction. The petting farm, when it is open in season, includes chickens, pigs, horses, rabbits, sheep, goats, llamas, as well as a donkey named ‘Hoti’ — ‘Don Quixote’. The pond’s inlet, sheltered by evergreens and bordered by grassy banks and willow trees, offers food and shelter for the resident waterfowl and migratory birds. There are pathways to the lake, bird feeders, and a barn. It is an ideal location for families or school groups to spend a day picnicking and visiting the animals. 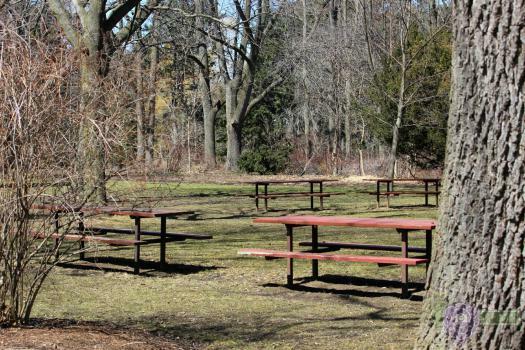 There are washrooms, a snack bar and a pavilion with plenty of picnic tables. Happy Rolph's is also available for annual festivals and weddings. Another interesting thing we discovered throughout the park were the many “living memorials” plaques tied to trees. They are from the Hulse & English Memorial Forest Fund which is a non-profit tree planting charity. 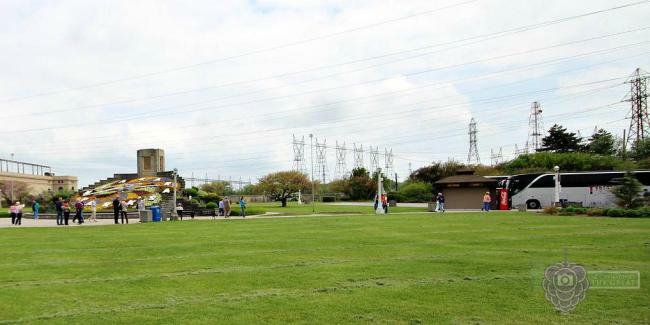 It provides private individuals the opportunity to contribute towards the greening of St. Catharines in the memory of loved ones. A tree symbolizes strength, durability, shelter and beauty. 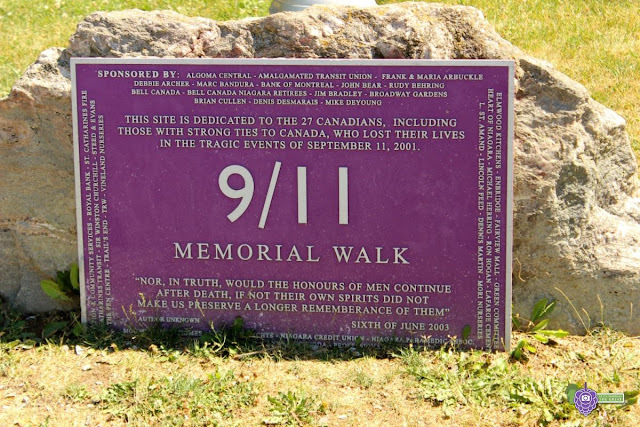 We weren’t able to visit the entire park on this day but we later learnt, there was a trail that ran throughout the park which led to a peaceful waterfront memorial dedicated to Canadian victims of the 9/11 terrorist attacks. The 9/11 MEMORIAL WALKWAY recognizes 27 Canadians who passed away at the World Trade Centre in 2001. Those that died are memorialized by twenty seven varieties of deciduous trees that line the trail. 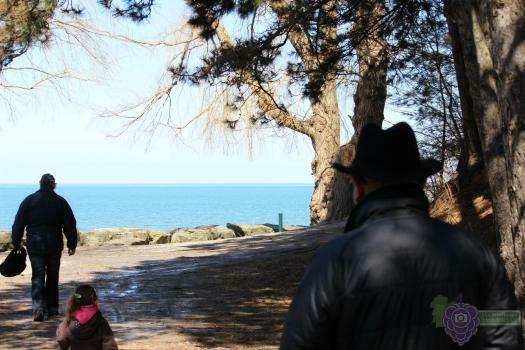 The wheelchair accessible walkway has benches with beautiful vistas on the shores of Lake Ontario. Another visit soon is definitely in order! 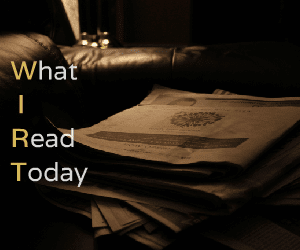 Today I read an article, “It’s a Long Shot”, in our local newspaper, The Standard, which was quite interesting and entertaining about lottery tickets for the younger demographic, which was worthy of some sharing. Apparently, lottery ticket sales to the younger generation, (ages 18-34), aka the “millennials”, aren’t as good as they’d hope it to be. It’s so low in fact, that the provincial lottery corporations are hiring a consultant to come up with new games and strategies, the paper states. I’m surprise they are even encouraging this! However, if they must do so, instead of hiring a consultant to come up with new gimmicks or tactics, why not just consult the targeted group itself by getting them to fill out a survey of some kind… or better yet – just ask them! Labels: LOCAL News, lottery, NEWS, W.I.R.T. Hours of Operation: 6-11pm everyday! 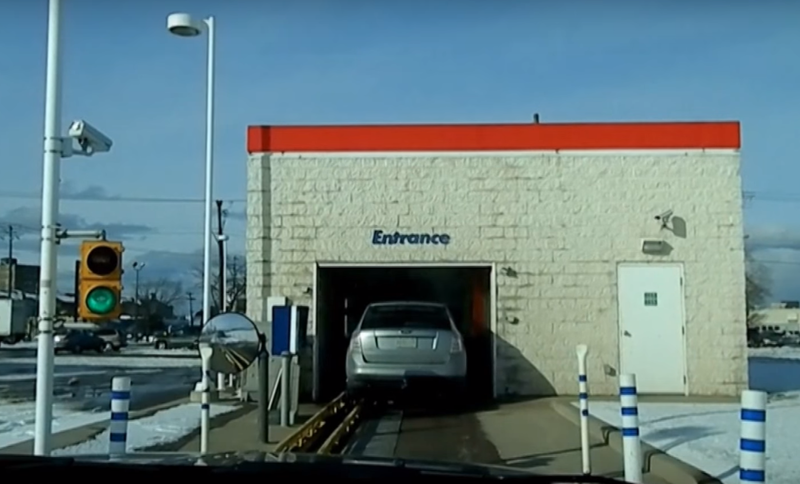 There’s a new gas station in town! 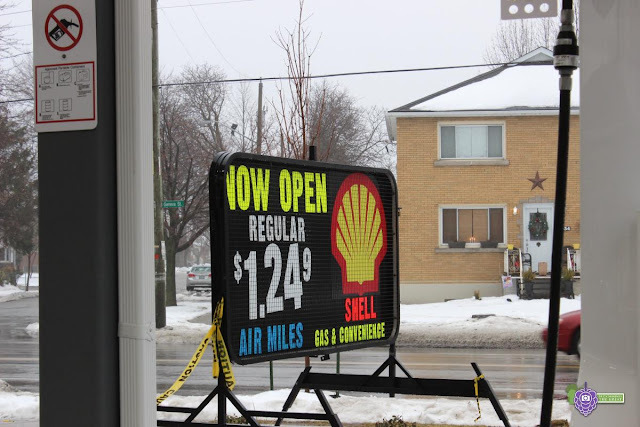 Shell Corner Store Gas Station located 333 Geneva St, St. Catharines – directly across from Ted St. and close to the Fairview Mall, is now open for business! Owner, Mark Attwah is a funny guy. When asked who the owner was, he replied with a smile, “the bank”. Mark, along with two others, will be taking care of business at this Shell location. What used to be the former home of Bruno’s Automotive Service and a Avondale Store, is now home to Shell’s new Corner Gas Station. A winter's visit to the "Canadian Falls" along with some interesting tidbits! Ronn Metcalfe (July 20, 1930 – May 18, 1969) was a Canadian big band leader from St. Catharines and music industry leader. He released an LP named after the title track "Twistin' at the Woodchopper's Ball" which garnered him a gold record. 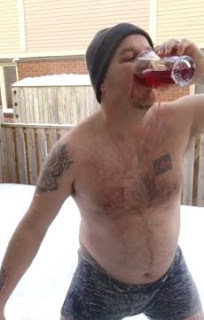 He used this success to start a rock and roll band scene in Niagara, Canada. He created Image Artist Representatives booking/managing agency, and opened The Castle in St. Catharines, the premiere club for bands between Buffalo and Toronto. This Niagara scene spawned many musicians such as Neil Peart from Rush, Glen Gratto from Lee Aaron, Bullrush, and The Mad Cats, Gary Storin from The Stampeders, The Hunt's Paul Dickinson, and Brian Gagnon and other music industry "behind the scene" types such as Jimmy Johnson from Rush and Styx. Sam Falzone who later joined up with Don Ellis. Ronn Metcalfe died of a sudden heart attack at the age of 38 while on a business/family trip to Ottawa. At the time he was securing a deal with Polydor Records. In 1976, the building that housed The Castle was demolished for a parking lot. Winter Photos taken around the northern parts of St. Catharines during the months of November and December 2013. 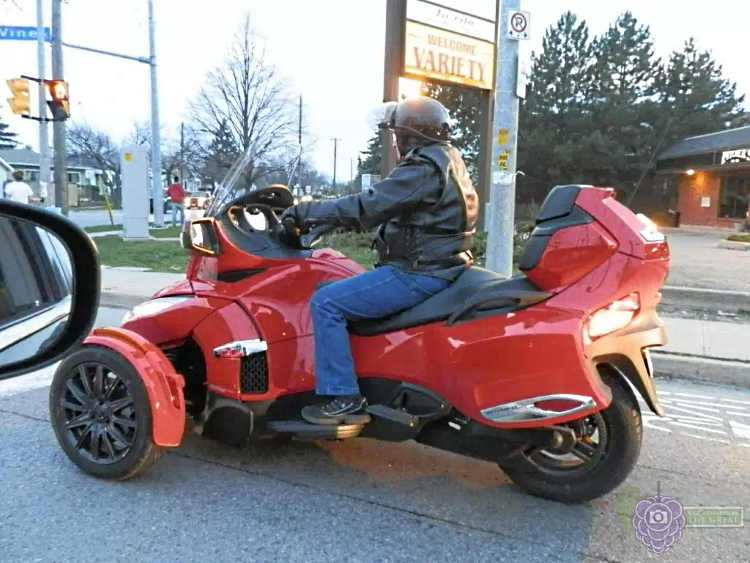 Back in April, we were heading to the Canadian Tire store when we came upon something… some sort of bike we’ve never seen before and we just had to take a pic. We’re not sure exactly what it is called. Do you know? began on the first vertical condominium in St. Catharines in over 20 years. In November of 2012, construction was started and well underway when a fire broke out in May of 2013 at the Walkers Creek Condominium on Scott St across from the Grantham Plaza. A & W’S Popping up EVERYWHERE! 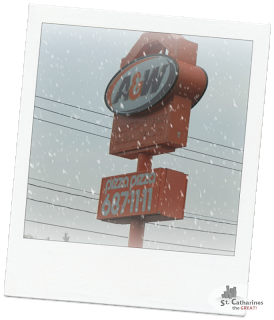 Is it just us or has there been a lot of A&W restaurants popping up everywhere lately? 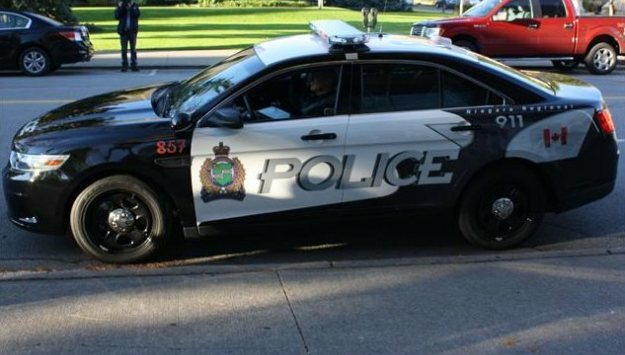 Before we only knew of ONE in our area, the one on Lake St. near the CAA building, now within a span of a few months there are TWO – one near the Pen Centre and the other on Welland Ave. near Bunting Rd. The A&W on Bunting Rd. was the former Taco Bell Restaurant! We LOVE A&W restaurants! As a matter of fact, we remembered thinking (while at the one on Lake St. about 5 months ago), that we hoped it would never close down. Lately it seems, we are getting less and less for our money. Now they’ve ‘shrank’ the ice cream containers but not the price. 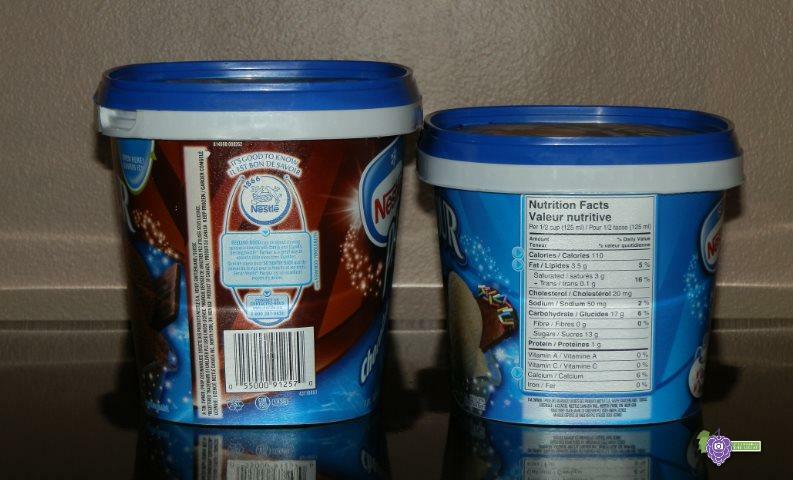 As you can see below, Nestle, a popular brand of ice cream, has been reduced significantly. 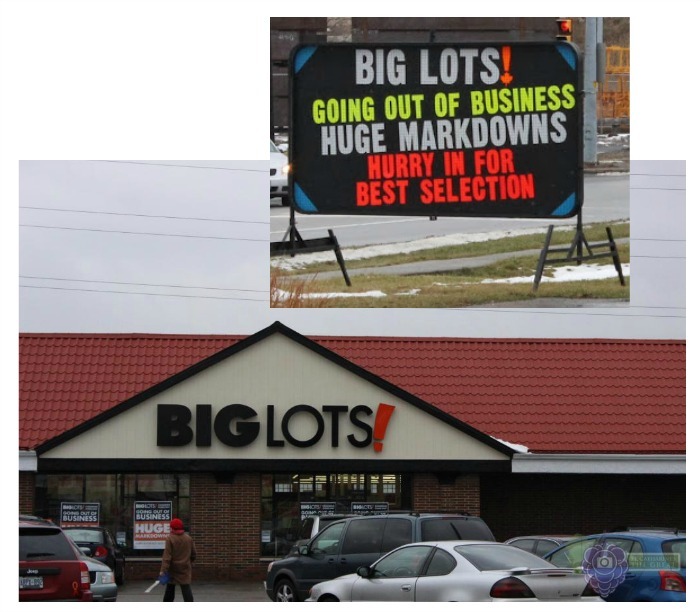 If you haven’t heard by now, American-based retailer, Big Lots, parent company of (Canada’s) Liquidation World, is closing its doors. Yes, that includes the one here in St. Catharines on Bunting Rd – one of only 5 locations in North America! 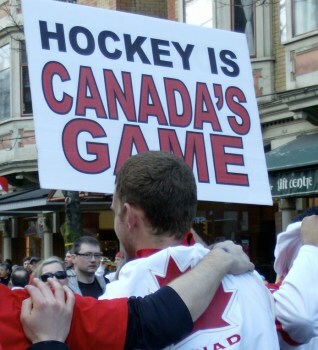 From what I’ve read, I guess they’ve decided that doing business in Canada is not such a great idea. They will try to focus strictly on the American marketplace. We didn’t seem to get hit as hard here in the Niagara Region as the Kingston, Toronto and Hamilton regions. Kingston, Toronto and Eastern Ontario had major power outages. 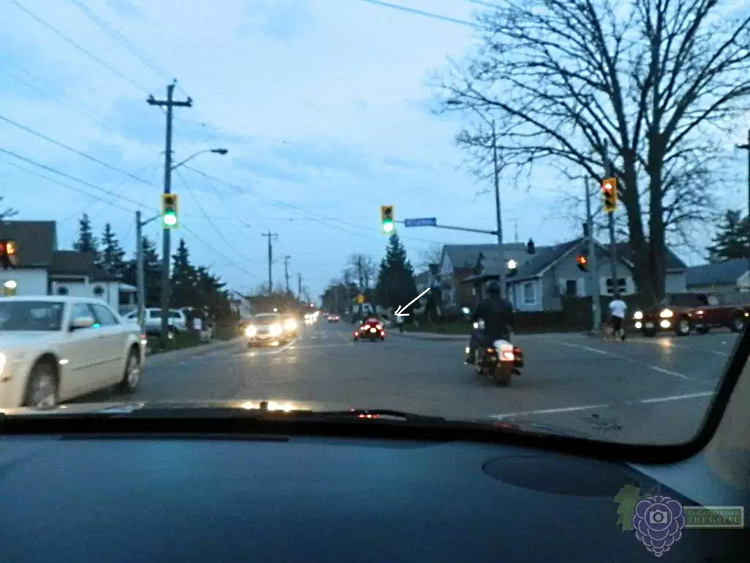 As we were writing this post, up to 350,000 homes have been reported by Hydro One to be without power – which could take up t o 72 hours to repair. Arthur, Ontario has 4cm of ice, (almost 2 inches)! Even a centimetre of ice writes the weather network, coating a heavily-laden tree branch can cause it to snap and fall on either a vehicle or a power line. 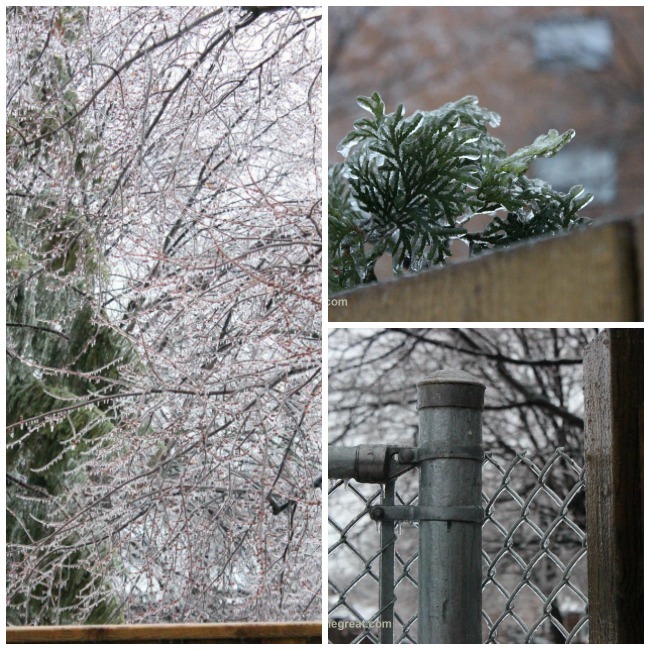 Here now are some pictures we’ve taken in a nearby neighbourhood in northern St. Catharines capturing the ice storm of 2013.